The popular music festival formerly known as Alfriston Summer Music returns next month for its 13th year, under a new name – South Downs Summer Music – to better reflect the wider reach and international nature of the festival. Running from Tuesday to Sunday, July 24-29, the festival offers seven concerts from international artists, as well as up-and-coming young musicians. It will be held in the beautiful St Andrew’s Church in Alfriston and there will also be a performance in the small Church of the Good Shepherd, Lullington. Highlights this year include the festival’s signature music and poetry evening, which will feature local star Jack Farthing (well known for his role as George Warleggan in the BBC’s Poldark) alongside musicians including international tenor Nicky Spence and the festival artistic directors Benyounes Quartet (July 26). Making her festival debut, Alice Zawadzki will bring her unique voice to the event alongside award-winning British vibraphonist Lewis Wright and piano virtuoso Kit Downes for an atmospheric performance on Friday, July 27. Saturday, July 28, will bring the internationally renowned British chamber group the Aronowitz Ensemble to the festival, who will perform classical works, which include Schubert’s Piano Trio in E flat Op 100. As part of the festival’s continued efforts to support young musicians, the organisers have announced that this year will feature a resident student quartet from the Royal Northern College of Music who will rehearse in Alfriston for the week, receive coaching from festival musicians and perform the closing concert. 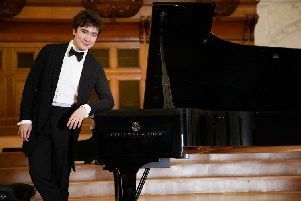 There will also be a performance from Hastings International Piano Competition 2018 Prizewinner Gen Li. East Sussex drinks company Folkington’s are returning as Festival Sponsor and ticket holders will be welcomed to their pop-up bar on the Tye where they will be offered a complimentary pre-concert Gin & Tonic. Tickets for each concert (£15 each) can be ordered online from www.southdownssummermusic.co.uk or purchased from Much Ado Books in Alfriston.